KANSAS CITY, Mo. — Not long after he was drafted in the third round this year by the Kansas City Chiefs, Kareem Hunt got a crash course from some friends on the rich history at running back for his new team. 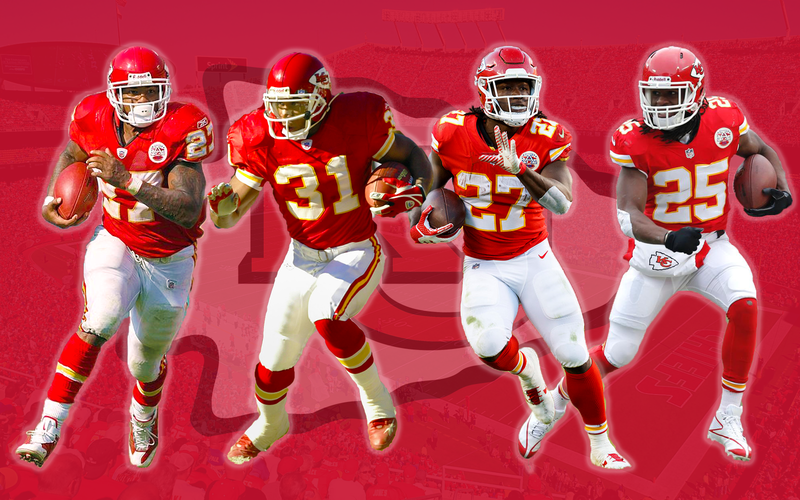 Starting with the arrival of Priest Holmes as a free agent in 2001, the Chiefs had a consistent line of top backs, continuing with Larry Johnson and then Jamaal Charles. Each had something different going for him. Holmes had the great vision and patience, Johnson the power and ability to break tackles, Charles the moves and the speed. But each spent at least a couple of seasons at or near the top of the list of the NFL’s premier running backs. Charles, Holmes and Johnson are in order, first, second and third on the all-time rushing yardage list. Almost halfway through his rookie season, Hunt is carrying on the tradition. He was the NFL’s leading rusher heading into Week 8, where the Chiefs will face the Denver Broncos at Arrowhead Stadium on Monday night (8:30 p.m. ET, ESPN). An added bonus: Hunt and Charles will square off. Charles signed with the Broncos after being released by the Chiefs in February. Holmes played with the Chiefs from 2001 through 2007. He’s second on the all-time rushing list with 6,070 yards. He led the NFL in rushing in 2001 with 1,555 yards. He led the NFL in touchdowns in 2002 (24) and 2003 (27). Holmes also was an accomplished pass-catcher, who led in receptions in 2002 (70) and 2003 (74).